Choose maintenance-free vinyl windows for your next replacement job. Our windows are not only maintenance-free but will help you save on energy costs. Contact Yoder's Vinyl Products for a free quote today! Building a new home? Need replacement windows? At Yoder's Vinyl Products, we'll assist you in finding the efficient solutions you need to save money and boost your curb appeal. 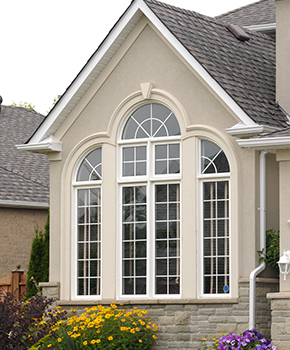 Soft-Lite® Windows come in a variety of styles and sizes to fit your needs. Let us walk you through your options to find the perfect selections for your home. Tilt-in top and bottom sash for ease of cleaning. Our windows are Gold Label certified by the American Architectural Manufacturers Association and also certified by the National Fenestration Rating Council (NFRC). Contact us today for more information. Make it your own. Choose yours today.